I have been working at Saigon Polytechnic for the past ten days. I continue to be impressed by the VACC member colleges. Again, I have arrived at a college where the administration and the staff are highly qualified, enthusiastic, and engaged. With the credentials of the faculty (many have Master degrees and a few have, or are working on, PHDs) this could easily be a University but they have embraced the Community College model and they are focused on service to students and the community. Translated, that means the College has full classes seven days a week from 7:30am to 9:00pm to accommodate students who happen to be working. They even have an arrangement with one of the local employers for a bus to bring students, who are also employees, to and from the College. 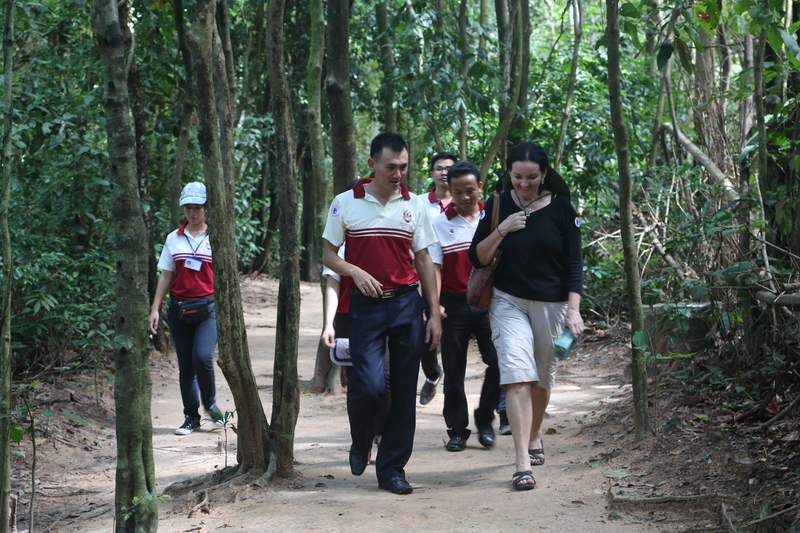 The campus is actually located outside of Ho Chi Minh City in Cu Chi District. 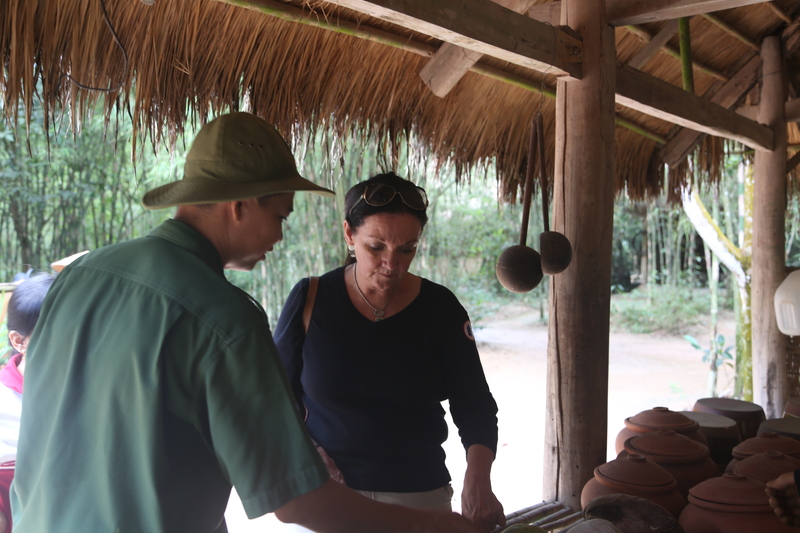 I knew of Cu Chi because it is where the famous Cu Chi tunnels are located. 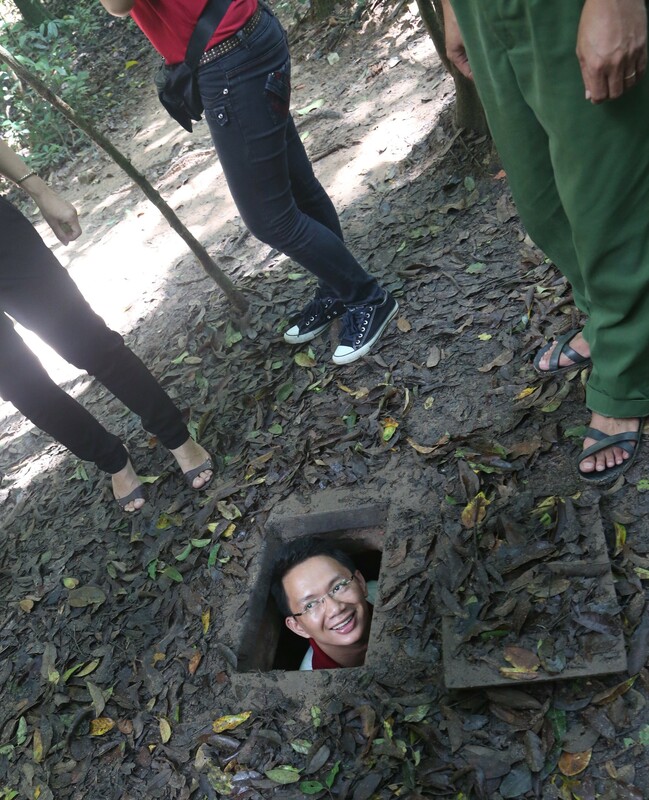 Two hundred and fifty kilometers of tunnels connecting six villages that served as headquarters for the Vietcong in South Vietnam during the war. How much nerve and ingenuity was required to live (to survive!) just 35K away from the American/South Vietnam Saigon headquarters throughout that war? 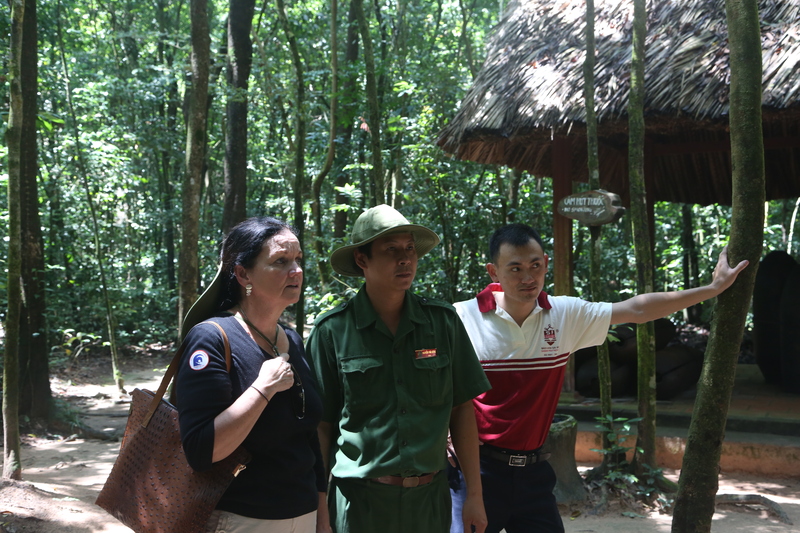 I have learned a lot about the Vietnam (American) War in the past five months but I must say the perspective from Cu Chi is much different. 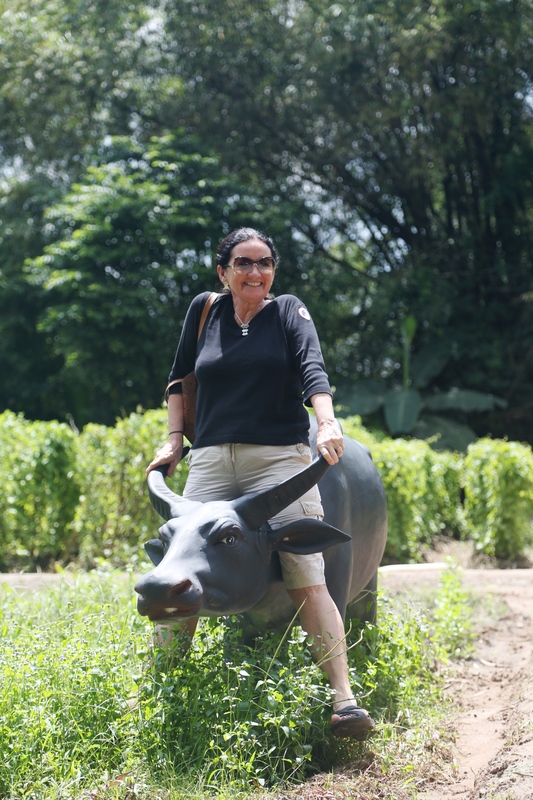 While there are some fascinating stories and the war certainly set the economy back, Vietnam is a country that is looking ahead and glad to be united. For now I’ll post some pictures of our day at the tunnels because I can hear that the volleyball game between SPC and the team from the Local Authority is starting and I must go cheer for the College! 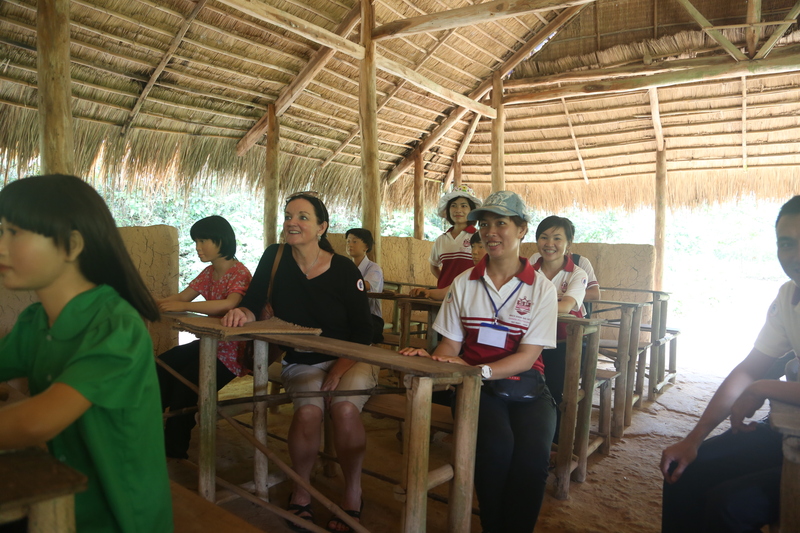 This entry was posted in Vietnam and tagged Cu Chi, Education, Saigon Polytechnic, Service Learning, Vietnam by D.Redmond. Bookmark the permalink.